It was just a month before Estella Aketowanga could walk out of Gulu Prison where she had spent 11 months. However, the excitement of seeing her two children and living in freedom was soon replaced by pain when she woke up to numbness in her fingers. The condition quickly progressed and her left arm got paralysed. 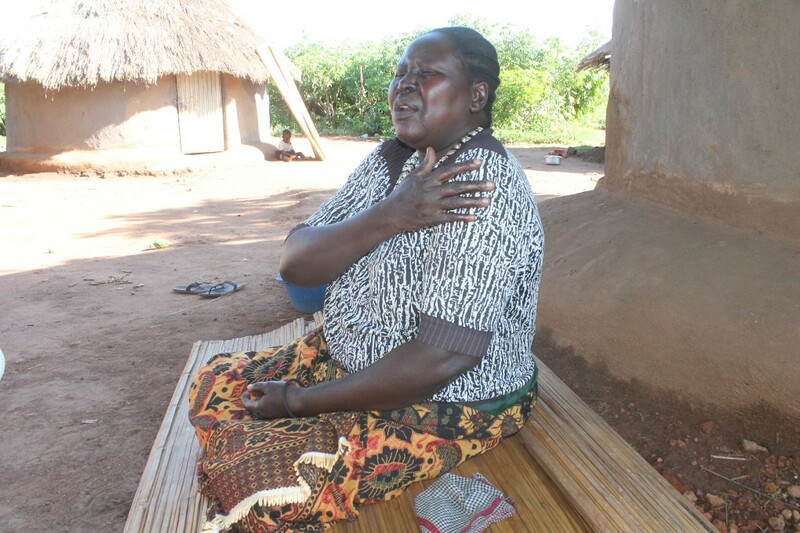 Estella’s problems started in Toro village, Amuru district when she was arrested by police on accusation of trespassing on her late husband’s land. She was a widow with two kids and had nowhere else to go. At first, Estella resisted pressure and threats from her brother-in-law who claimed that she had no right to stay on her late husband’s land because she was not married traditionally. She was later dragged to Amuru police station in Amuru Sub-county when it was still part of Gulu district where she spent a night without being given the opportunity to record a statement. The following day, Estella was taken to Gulu, appeared before court and subsequently remanded to the women’s wing at Gulu Prison. The first two weeks in prison were rough. Estella endured daily beatings from inmates who sarcastically claimed they were “welcoming” her. One fateful day, the inmates stepped on Estella’s shoulder several times until it got dislocated. She passed out. This prompted the previously unbothered prison warders to act. “[Prison] warders took me to the hospital because I was in a bad state but the worst had already happened,” Estella recounts. A week later, Estella was discharged from the hospital and yet, according to her, she needed more time to heal completely. The inflammation on her left shoulder worsened. Sleeping on the cold bare and bedbug-infested prison floor didn’t do any good to Estella’s shoulder that was yet to completely heal. Then there was also the congestion. The prison administration provided a piece of cloth to be shared among groups of five or eight inmates at night. A room meant for people, was accommodating 150 inmates, according to Estella. This meant that Estella had to sleep on only one side, without turning, until morning. This dented the speedy recovery of her left shoulder. “It was also hard for one to breath because of the poor ventilation system,” says the 54-year-old resident of Okungedi village in Amuru District, northern Uganda. The cracked floor made it easy for bedbugs to hide during day, and feed on the inmates at night. During her time in prison, Estella says, there was no by prison warders to fumigate bedbugs and lice in the wards. 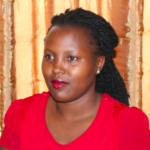 “My skin became pale with rashes because of bites from bed bugs,” narrates Estella. Two years later leaving prison Estella continued to experience on and off paralysis in her arm. “The pain also affected my back and chest which made it hard for me to work in the garden,” she says. Estella recalls the day she was in her garden and her arm got paralysed and her work came to an abrupt end. “I failed to hold the hoe,” she says. She has only gone once for medical examination because of financial challenges. The doctor told Estella that the paralysis could have been triggered by sleeping on one side on the floor for long when she was in jail. The question that remains to be asked is why are these violations by inmate on fellow inmates ignored by prison warders? Uganda’s Prevention and Prohibition of Torture Act (2012) defines torture as an act, by which severe pain or suffering whether physical or mental, is intentionally inflicted on a person by or at the instigation of or with the consent or acquiescence or any person whether a public or other person acting in an official or private capacity. And so, for prison warders who look on while new inmates get tortured by their colleagues is a crime. Estella thinks they should be punished for their misdeeds. “For these things to stop, the prison warders who condone human rights violations need to be put on the spot otherwise the lives of many in mates are at a risk,” she says. The Regional Prison’s Commander for Northern Uganda Magaret Orik says prison does not tolerates torture, adding that as long as there is evidence pinning anyone involved in it will be face the law. She adds that in past, prisons could not provide adequate facilities to maintain sanitation but at the moment they are able to fumigate the prison facilities despite having high number of inmates. Alfred Oketayot, the program manager at African Centre for Treatment and Rehabilitation of Torture Victims, says the prison warders who neglected Estella need to be punished for condoning torture. He advises Estella to reach them so that she can get assessed before she can receive treatment and make formal complaints. He notes that, because they have a Memorandum of Understating with Uganda Prison Service, they made a recent tour in some of the prisons in northern Uganda where they found that due to congestion, sanitation has been hard to maintain thus denying the inmates their right to health. A 2011 Human Rights Watch Report indicates that more than 50,000 inmates in Uganda are sick, or come out of jail with some form of illness. The report also shows that Uganda Prison Service can only provide one square metre (1m2) as minimum floor space for inmates, instead of the recommended 3.6 square metres (3.62). For now, life is hard for Estella who has to look after five orphans from her late relatives, and yet she can only rely on her right arm to perform odd jobs. “I forced myself to learn and rely on my left hand for garden work,” she says.